"Your brand is not the most important thing in your customers life - convenience is." This was a statement overheard at a retail professionals networking breakfast that Salesforce hosted earlier this month in London. As bold as this statement was, it was clear to everyone in the room where it was coming from. I see this desire for convenience - for instant gratification - driving the industry today and expect it to be explored further at RetailWeek Live this month. If you are attending RetailWeek Live 2019, don’t miss our panel discussion with top brands who have a great perspective on this hot topic. But in the meantime, I want to share some thoughts about what 'Instant Gratification' really means, and how retailers can be prepared for this trend. We are living in the ‘want now’ reality where we can stream the latest movies, music and audiobooks with ease. We value the ability to buy quickly, easily, and are getting less and less patient when it comes to waiting for orders to be delivered and new goods to show up in stores. The three day wait for delivery is no longer good enough. 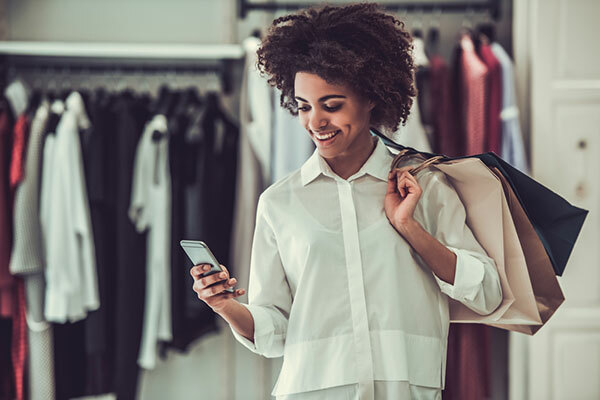 From all of this, it would seem there is one thing shaping the future of retail: the desire for convenience and within that the desire for immediacy in a multichannel world. Today’s consumers seek instant gratification - a new expectation for superior customer experience. By 2020, 45% of consumers say they will switch brands if a company doesn’t actively anticipate their needs. That creates the need for organisations to support every customer, every time, anytime and anywhere. Sound cumbersome yet? In particular, instant gratification resonates with a millennial and Gen Z audience. Even when ordering online, they crave immediacy and have become fast adopters of click and collect. The majority of brands continue to invest in front end consumer facing activity, such as increasing basket size, PPC, or new e-commerce capabilities. Companies of all sizes have disparate back office systems that block them from meeting increasing customer demand for immediacy. As a retail community we still focus a lot of attention on the in-store versus digital/offline vs. online debate. Is delivering instant gratification enough to succeed with today's consumers? However, I also question - is instant gratification enough to attract and foster customer loyalty? For example, in our Shopper First research surveying 6000+ consumers and 1.4 billion e-commerce visits, we observed that consumers increasingly reward brands that give the shopping relationship meaning beyond the transaction. This could be through greater personalisation, superior loyalty programs, or company values. Therefore should we focus on delivering instantly gratifying experiences or should we be thinking more about “constant gratification” instead? To help answer this question, I invited retail technology leaders from Estee Lauder and Mars to join me in a discussion at RetailWeekLive on the 27th March. I look forward to hosting this panel and finally addressing this topic together with the audience of retail leaders. Look out for the next blog and a few videos we will be sharing from the day. In the meantime, grab your copy of the Shopper First report which provides you with the in-depth survey results you need to engage your customers on all levels.